Only commercial waste haulers may dispose of waste at the Layon Landfill. Residents may bring their trash and other solid waste to the three transfer stations at Harmon, Malojloj and Agat. 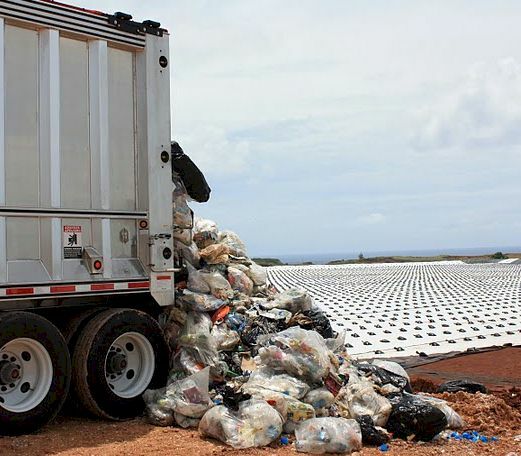 On Thursday, September 1, at an on-site hearing of the District Court of Guam, the gates of the Layon Landfill were officially opened allowing trucks bringing waste to arrive. The Layon Landfill is a high-tech, environmentally sound and highly controlled landfill for non-hazardous municipal solid waste. It was built with an engineered liner and a leachate collection and removal system that protect human health and the environment. With a capacity in excess of 15.8 million cubic yards, the Layon Landfill will service the island of Guam for more than 50 years. The Layon Landfill uses the most current technology in its design, operation and construction. The landfill’s double liner system has a leak detection system that exceeds both Guam and federal requirements for environmental protection. 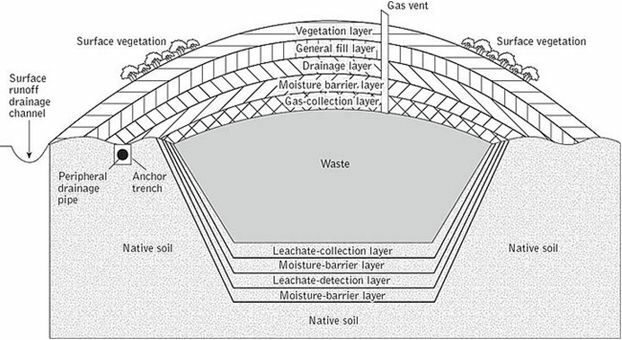 The liners protect the groundwater from leachate infiltration and potential migration of landfill gases. The landfill is monitored on a quarterly basis for groundwater quality. The landfill is also monitored for landfill gas production, and a landfill gas collection and removal system has been included in the design. When landfill gas quantities exceed the regulatory thresholds, the collection system will be installed. The landfill gas may be flared or used as a fuel source, depending on quality and quantity of the gas that is generated. To control access and eliminate blowing litter, the Layon Landfill is secured by perimeter fencing and portable litter screens. The landfill will be covered daily with soil or tarps to control vectors, odors, blowing litter and scavenging. 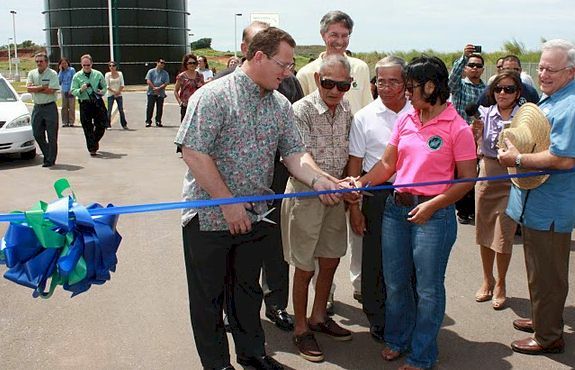 The Layon Landfill is owned by the Guam Solid Waste Authority and operated by Herzog Environmental, Inc.